I might have mentioned before that we get free fruit, well perhaps I didn’t mention the mental sizes of the bananas! 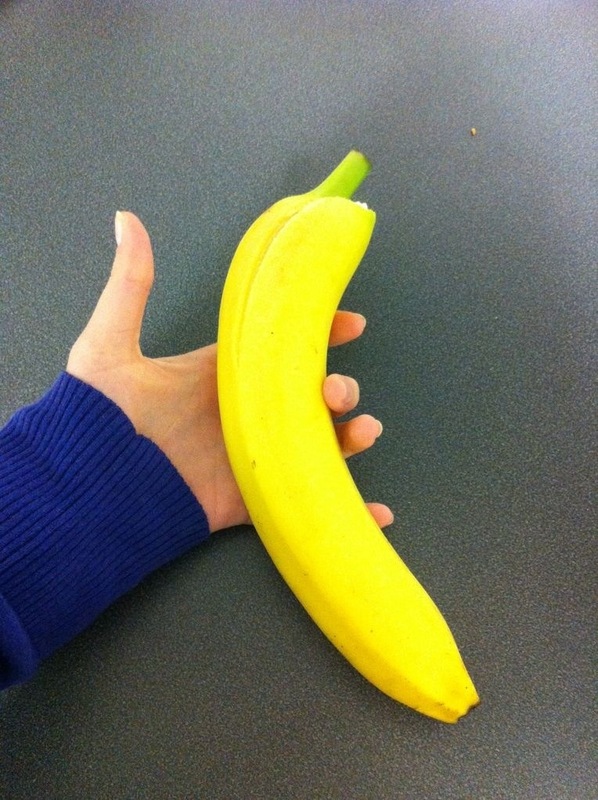 I have normal sized hands, and I just had to take a photo of this banana! Other than that, a normal day today in work! Ran 25 mins home, which I’m dead happy about!